Overall, drug abuse and addiction strike at any age. Teens are the most susceptible demographic, and among them, drug use is the highest. If you or someone you love is struggling, teenage drug addiction treatment could be your solution. Unfortunately, it isn’t always easy to spot drug abuse among teens. Knowing how to recognize addiction is the first step for getting loved ones help. Since teenagers are going through many physical and psychological changes, looking for notable behavioral changes won’t give you a straightforward answer. However, there are some visible warning signs you can look for. For example, bruising or red marks at the skin’s injection sites are definitely reasons for concern. If your son or daughter is wearing long sleeves or long pants, even in hot weather, this could be an attempt to hide these. Additionally, other physical signs include rapid weight loss without explanation, or regularly bloodshot eyes and dilated pupils. Teens with addiction might also display chronic nose bleeds, bruises, or red cheeks. If you see any of these frequent external features, you should consider drug rehab as a possible solution. Behavioral and mood changes are another way to identify a teen struggling with addiction. For example, teens abusing drugs may isolate themselves by withdrawing from family and friends. They could also become aggressive, sullen, or irrational. While these may be hormonal, rapid behavioral change could be the result of substance abuse or addiction. Take a closer look at a teen’s financial situation. Procuring drugs isn’t cheap. If a teen’s allowance or savings is disappearing, but there is nothing to show for it, they could be spending their money on drugs. It’s then necessary to take the proper steps to enroll them in drug rehab. Whether you are 16 or 60, the only way to safely and successfully end addiction is with professional support. Fortunately, drug rehab for teens is always available. In drug rehab, teens are able to access diverse resources for lasting recovery. In addition to medical care, this includes therapy and counseling. With these methods, patients begin to understand the root of their addiction and prepare for relapse prevention. 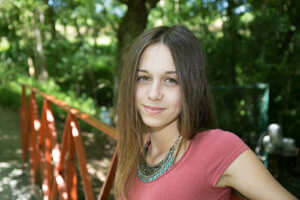 Furthermore, teenage drug addiction treatment in a rehab facility eases parental apprehensions. Even when parents want to help, their support can’t take the place of trained therapists and addiction experts. Most importantly, parents have peace of mind when their teens are in safe hands. Another benefit of teenage drug addiction treatment is gaining the necessary peer support. Generally, teens struggle to understand authority figures, however, peer communication can be incredibly effective. In rehab, peers are able to participate in group therapy as well. This is a chance to learn and hear from others in a similar situation. The opportunity to receive sound advice from those who have been there can be profoundly positive. Teenage drug addiction treatment is necessary for those who are ready to work towards lifelong sobriety. At 1st Step Behavioral Health in Pompano Beach, Florida, teen patients can begin recovery in a caring, comfortable environment. Call 866-319-6126 to learn how young adults can conquer addiction with the right help and support.